Backsplash Tile: Reasons You Should Install a Kitchen Backsplash! If you’ve thought about updating your kitchen or maybe even doing an entire kitchen renovation, you’ve probably heard the term “backsplash” thrown around. But what is a kitchen backsplash and do you really need to install backsplash tile? A kitchen backsplash can be anything from a four-inch tile addition on the wall perpendicular to the counter, to a fully tiled area between where the counter ends and the cabinets begin. Whether or not you need one for your kitchen can be debated, but here are three reasons you should invest in some backsplash tile and go to town with this kitchen improvement. 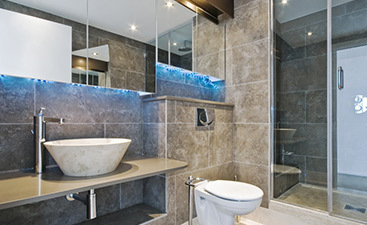 The number one reason you should take the time to install backsplash tile is that it will protect your kitchen walls. 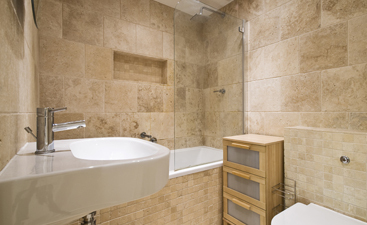 Tile is a low-porous substance that is easy to clean. When you’re cooking, grease and other substances can kick up onto the walls and stain the paint or wallpaper. 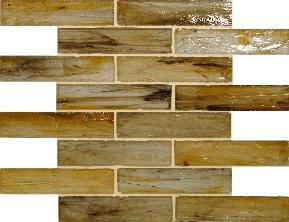 Having backsplash tile installed means that anything that splashes onto your wall will easily wash off. When cabinets and counters are installed in a kitchen, many times the cabinets won’t sit perfectly flush with the wall. Installing at least a four inch tile backsplash all the way around the counter will help improve the entire look of the kitchen, hiding any installation flaws. These days, when individuals buy a house, they look closely at the kitchen and bathrooms. 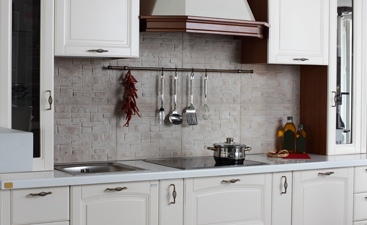 Excellent backsplash tile will improve the overall look of the kitchen and can really help tie the room together. Having a kitchen with visual appeal will help add value and hopefully increase offers.